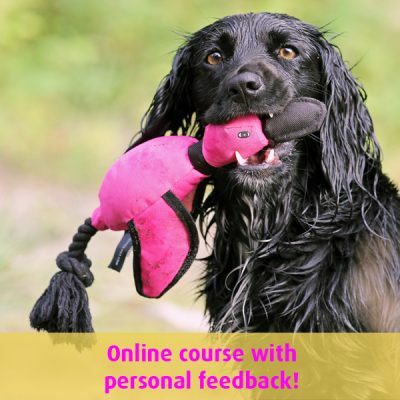 Everyone who train dogs should do their own yearly summary! Looking in the rearview mirror can really be delightful – or at least informative. What did we do, how did it go, what happened, how did it feel then and how does it feel now? 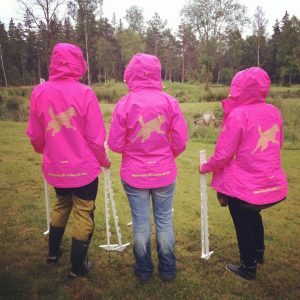 At Klickerförlaget (our Swedish company that publishes books and gives dog classes) 2015 was an eventful year with two new members of the pack, first field trial with warm game, summer camp, success for our clinics with our star author, two new authors signed with the company, starting our course for instructors and the publishing of Retrieving for All Occasions, the English version of our book. So much has happened! 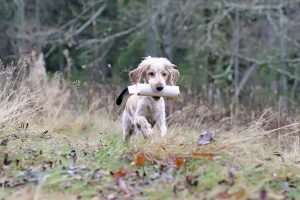 2015 was the year when Lena started training Tassla on game, starting at field trials and hunting. 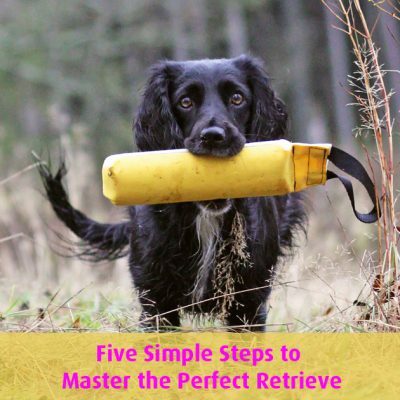 Spaniel training is so much fun and interesting, and there are of course a lot of things to learn at least when it comes to the spaniel hunt (Difficult! Fun! Challenging!) but the big challenge isn’t about the training but about finding game to train with. It’s been a big challenge to travel around the country to 1. find places to train and 2. get to start at the few field trials that Lena and Tassla finally got to participate in. 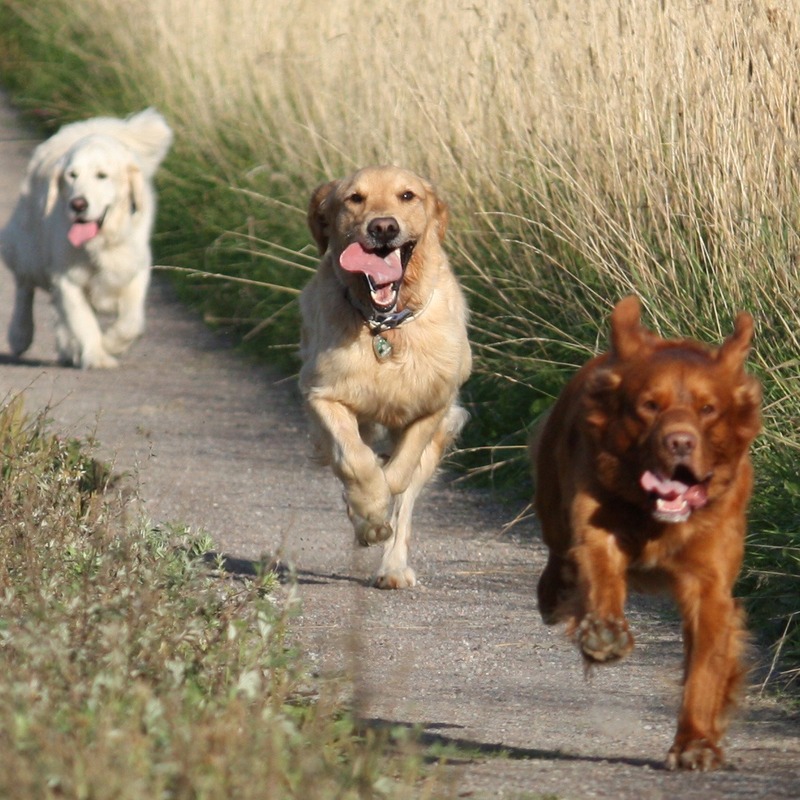 The summer was spent visiting different rabbit fields to teach Tassla to stop for rabbits. As soon as it was legal they went on bird hunts. And even if Lena has spent almost all her free time on this they have, so far, gotten far to little training with warm game. This training requires continuity so that game becomes a natural part of every day life, not “crazy party” every time. Furthermore, there’s relatively few open field trials and if you’re allowed to start in one you’re not in the drawing for the next. And sometimes the field trials where at the same time as other weekend jobs. Finally they managed to start in two trials that gave good information about what they need to train more. Next fall Lena will not spare weekends for anything but training on game, hunting and field trials! 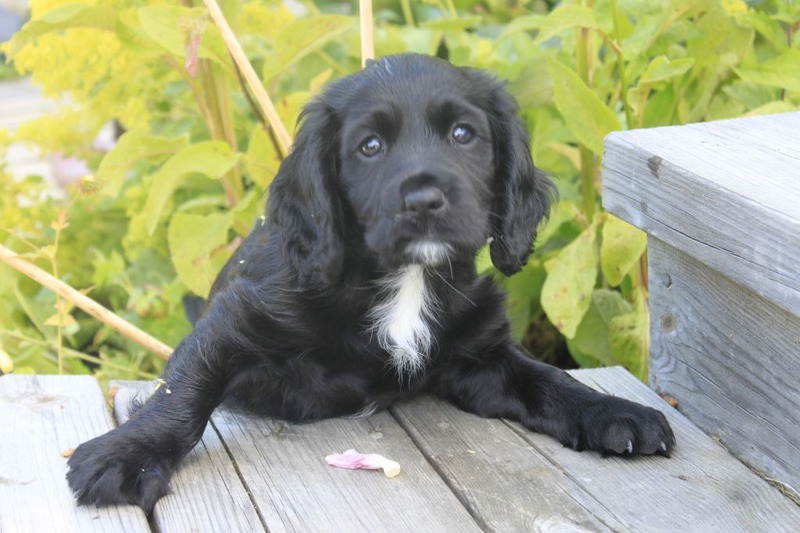 🙂 But the year has been a great learning process and one of the biggest take aways was when Lena was able to walk next to a spaniel judge for a whole field trial. 2015 was the year when Elsa had so many courses that her own training suffered. For Elsa as well the field trials clashed with already booked weekends and then it was all about taking the few chances that were there. While driving to one of the trials Elsa got aquaplaning on the highway and the car was a wreck. As through a miracle both Elsa and Diesel fared relatively well. We all were a bit shocked and got a new perspective on life. 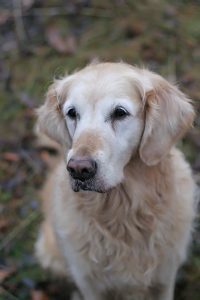 2015 also offered an unpleasant surprise when Diesel had a cancerous tumour in her thigh. Two surgeries later she’s back in business, but it was nervous for a while. In spite of this Elsa and Diesel started in a few cold game trials and a few working tests and after a few handler screwups and ceremonies hunting they got a third prize in Open cold game trial and around 60 points in Elite class on working test. Furthermore Elsa, as usual, has attended a few courses for different instructors to get new ideas and inspiration for her training. 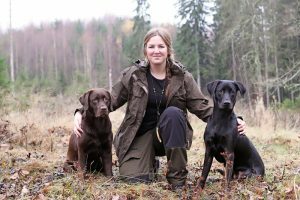 It was the yearly training weekend with Eva Thorén Söderström, a constant source of inspration and clicker based gun dog training. And it was also new inspiring aquaintances such as Helen Philips, Lisa Falck and Keith Matthews that with their great experience had interesting exercises that both Elsa, Åsa and our course participants have found useful throughout the year. Elsa and Åsa also went to the US to attend Clicker Expo (a yearly conference/dog training weekend hosted by Karen Pryor Clicker Training. If you’ve never been there – go there! What an energy boost!) and really got into details with dog training and met “celebrities” such as Karen Pryor, Ken Ramirez, Kathy Sdao among others. The biggest event this year still was that Elsa’s pack grew bigger with a Seeker. In July she went to England and bought a Goldie puppy from Philippa Williams at Castlemans gundogs. After a few initial protests from Elsa’s other two dogs (“WHAT have you dragged home?! ?”), he’s now totally accepted in the pack (he and Diesel can play for hours) and he’s just as terrorising as a young dog should be. 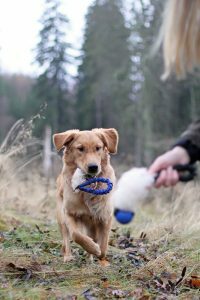 🙂 Elsa has focused on the important everyday training that makes a new dog function in your everyday life and with the family. In connection to this she made a great video about how she’s been training resource guarding with the puppy. You can watch it here. Elsa has of course as well started with some basic foundation exercises, you’ll see more of them in future blog posts. We look forward to following Seeker’s development here in the blog during 2016! Klickerförlaget also employs Åsa Davidsson that might have been the one of us to have most foundations courses based on Retrieving for All Occasions during the year. 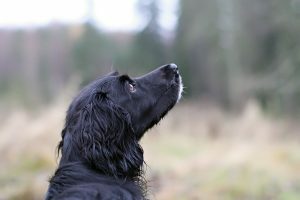 Åsa was also in England at the same breeder who Elsa bought Seeker from – but Åsa came home with Tod – a black labrador – instead. “The dog of my dreams” says Åsa about Tod, who’s been welcomed to the family by his older “sister” Mio, Åsas older chocolate labrador. 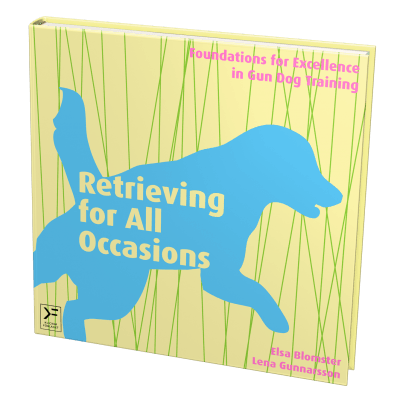 Åsa and Tod has done a great deal of foundation training that you’ve been able to read about in the blog. 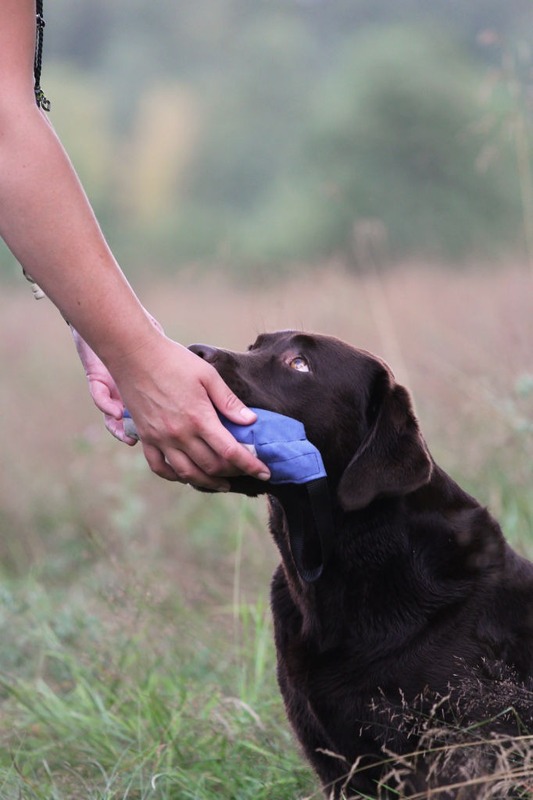 Here’s a blog post on their early delivery to hand training. This year as well our summer camp was immensely popular and was filled up within the blink of an eye. This time we were four instructors and 24 (!) students and yes, the sleeping quarters was a bit crowded, but sleeping could be done some other time, right? 🙂 As usual we were at the wonderful place Sjöön and had a few intense and fun days together with curios and interested dog nerds. What could be better? In January we’ll open the admission for the 2016 summer camp (in Swedish). Klickerförlaget has also had a great year when it comes to growth! 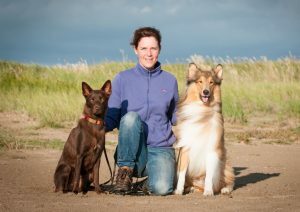 Our star author Maria Brandel, have been working with us for a few years, and her book “Från valp till stjärna” (From Puppy to Star, not yet available in English unfortunately) is a best seller of course, as well as her film FCI Obedience Class III. During the fall we made a small road trip with Maria where she gave a few much appreciated clinics for instructors. During the year our “stable” was expanded with our favorite physiotherapist Annika Falkenberg, and we’re now selling her book “Friskvårdens grundstenar” (Health Maintenance Foundations, unfortunately only in Swedish so far). We’re so happy for this cooperation since Annika is our idol! 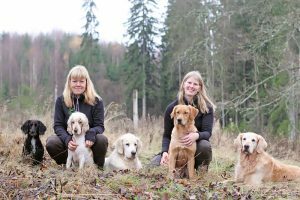 She’s fantastically competent and wise, and we now that she delivers since all of Klickerförlaget’s dogs have been treated by her and some of them have been helped back to 100 % after serious injuries. Both Annika and Maria will publish new, exciting books during 2016! On top of that we’ve just signed TWO new authors to our publishing company, and right now it looks like we’ll be publishing AT LEAST four books next year (hopefully one in English as well!). The feeling is overwhelming!! Finally we want to thank all of you who in any way have been a part of our year. Students, supporters, book readers, blog readers, clinic participants, authors, instructors, training buddies, family, the accountant, the logistics department and the economy department 🙂 THANK YOU for making us wiser and better and for making our lives great! Now we’re getting ready for 2016. Are you with us?